Please join us for an opportunity to chat, network and catch up over a drink, a coffee, or a light meal – whatever tickles your fancy! 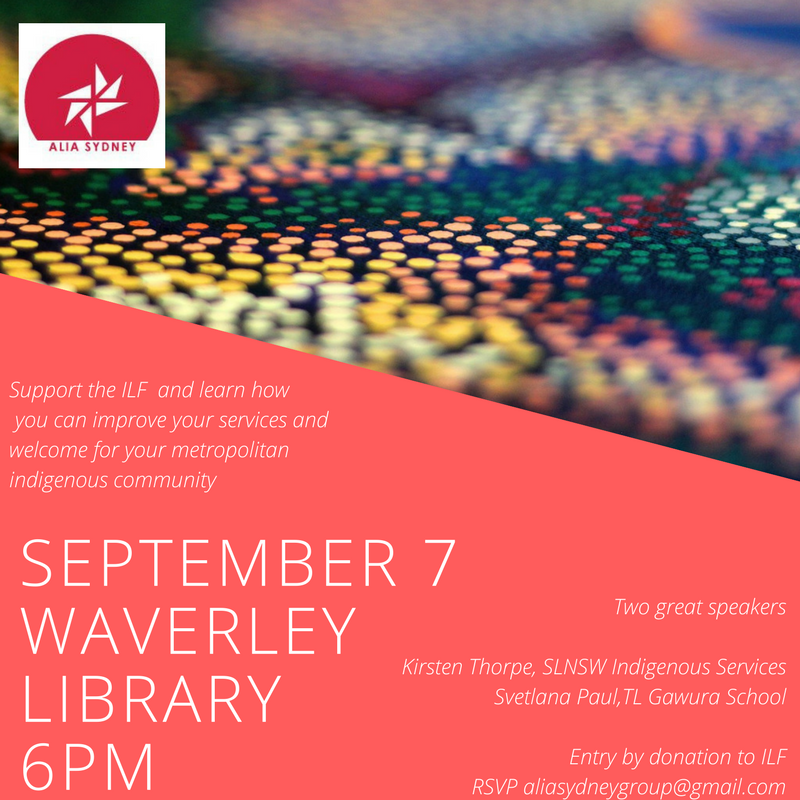 Please join ALIA Sydney for drinks and a catch up, meet fellow library professionals and make new friends (and eat soul food). Chris Bourg is in town, so come along and say hi on the 4th of July. The ALIA NSW LT Group is having a library your of the new Rockdale Library. Date: Tuesday, 23rd of May, 2017 at 6.30pm. You can get there by car and is walking distance from Rockdale Station. ALIA member pin presentation to NSW ALIA members who have been members for 25, 30, 40 and 50 years. The pins will be presented by ALIA President Patricia Genat. TIME: Refreshments to be served from 5.30pm and pin presentation to begin at 6.00pm. The International Librarians Network (ILN) peer mentoring program was the brainchild of Kate Byrne, Alyson Dalby and Clare McKenzie and ran continuously from 2013 to 2016. During that time more than 5,500 library and information professionals from over 220 countries participated in a facilitated program aimed at helping librarians develop international networks.